In the wake of United Nations Security Council Resolution 2334, there are two points that need to be emphasized. The first has to do with the resolution itself, the second with how we got here and where it will lead. Both are important, and it is impossible to completely understand either in isolation. Point one is that UNSCR 2334 is a deeply flawed resolution that should not have passed and that will only make matters worse. 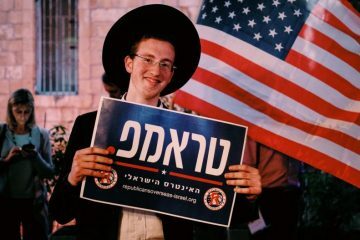 This is not because Israel should get the benefit of an American veto no matter what it does, or because settlements are little more than a distraction from the real issues. It is because this particular resolution laid out a line regarding settlements that the overwhelming majority of Israelis do not and cannot accept, treating the Jewish Quarter of the Old City and Amona as one and the same. It is because it made absolutely no mention of the fact that one of the two territories that will make up a Palestinian state is controlled by a terrorist group that poses a far larger obstacle to a permanent solution than any single Israeli settlement. It is because it betrayed a complete and total misunderstanding of the state of Israeli politics and created an immediate incentive for this Israeli government to build anywhere it wants with total abandon. It is because it provided succor to the BDS movement, which is not interested in altering Israeli behavior but in altering Israel itself. 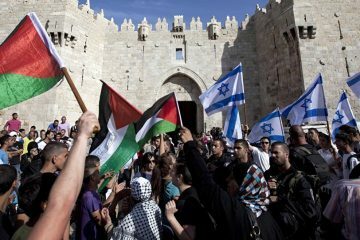 It is because it offended Jews across the globe by treating Judaism’s holiest site as occupied territory. 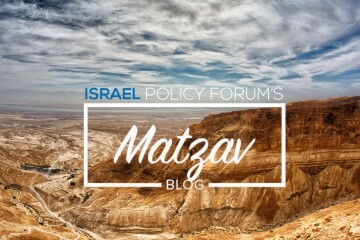 To put it bluntly, when expanding the Western Wall plaza is deemed an illegal and illegitimate act of an occupying power, something has gone way off the rails. That this resolution was more balanced than previous ones does not make it objectively balanced, and to assert that anyone who opposes it is ipso facto a shill for settlements misses the reasons why it is problematic. Contrary to many people whom I respect who have argued that this will be the first step in halting Israeli settlement activity and putting the two-state solution on a firmer footing, I believe the opposite will be the case. By not adopting a policy that distinguishes between settlements, the incentives now run the wrong way. 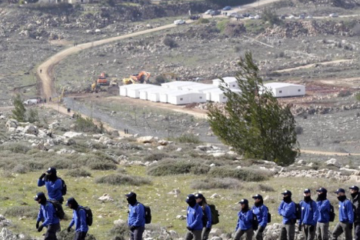 This is an Israeli government that is ideologically committed to building in the West Bank, but were the United States and the broader international community to institute a system by which Israel could build unfettered within the blocs – contingent upon Israel laying down hard borders defining the blocs absolutely – in return for a complete and total freeze outside of them, it would do more to enshrine two states than any UN resolution or sanction could possibly accomplish. 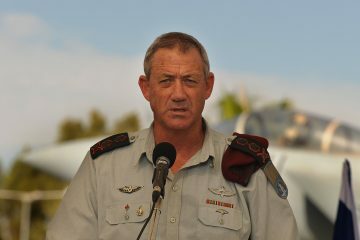 The plan from Commanders for Israel’s Security to complete the security barrier and freeze all construction to its east is as wise a policy as exists. If such an understanding were reached and Israel violated it, I would be all for coming down on the Israeli government like a ton of bricks. Instead, the net effect of what this resolution actually did is to convince Israelis that the world is out to get them no matter what they do, and provide a fresh tailwind to hardline efforts led by Habayit Hayehudi and much of Likud to annex Area C outright. 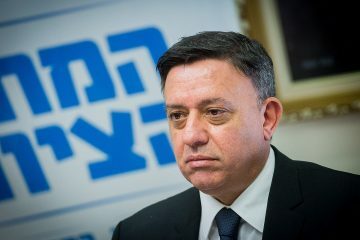 After all, if Gilo and Alon Shvut are no different than Ofra, why bother to make any distinctions at all and suffer a domestic political cost? The countdown has now officially started not only toward a serious push to annex much of the West Bank, but also toward Israel building in previously untouchable places like E-1 and Givat Hamatos. Once that happens, we really will have crossed the Rubicon absent an enormous upheaval. The passage of this resolution makes that crossing a lot closer than it was before Friday. Point two is that you can inveigh against President Obama all you want, but the one who actually owns this debacle is Prime Minister Netanyahu. If you truly want to be upset at someone, direct your ire at him. 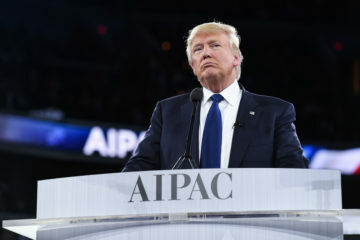 When he says that Israel had a commitment from the U.S. for diplomatic protection, he is right, but he entirely elides the reality that this is not a blank check that exists in perpetuity irrespective of changed circumstances. Let’s leave aside for a moment the terribly inconvenient fact that before Friday, Obama was the first post-1967 U.S. president to never allow a resolution targeting Israel to get through the Security Council, making the claims of this being unprecedented utter tripe. 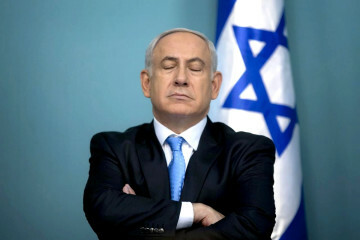 When Obama vetoed a similar resolution in 2011, it was before Netanyahu publicly said that there would be no Palestinian state on his watch; before Netanyahu created a governing coalition comprised of a majority of MKs who are on record as opposing two states; and before Netanyahu rhetorically supported and voted for a Knesset bill legalizing illegal West Bank construction that his own attorney-general denounced as violating both Israeli and international law. In Netanyahu’s estimation, is there any line at all that he could cross that would nullify an American commitment to wield its veto on Israel’s behalf? 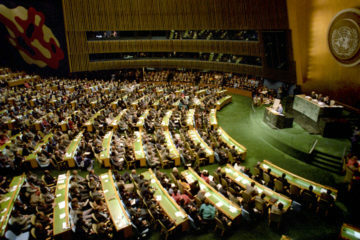 The extremely flawed resolution itself now allows Netanyahu to issue jeremiads against those who would try and remove a Jewish connection to the Western Wall, but it is not Israel’s presence in the Jewish Quarter that led to this move at the UN. Netanyahu brought his country to this point, either never believing the myriad warning signs he received or knowing that this was coming and thinking that it did not matter. Either way, it gives him the ignominious distinction of presiding over a disastrous diplomatic failure that was entirely predictable and entirely avoidable. 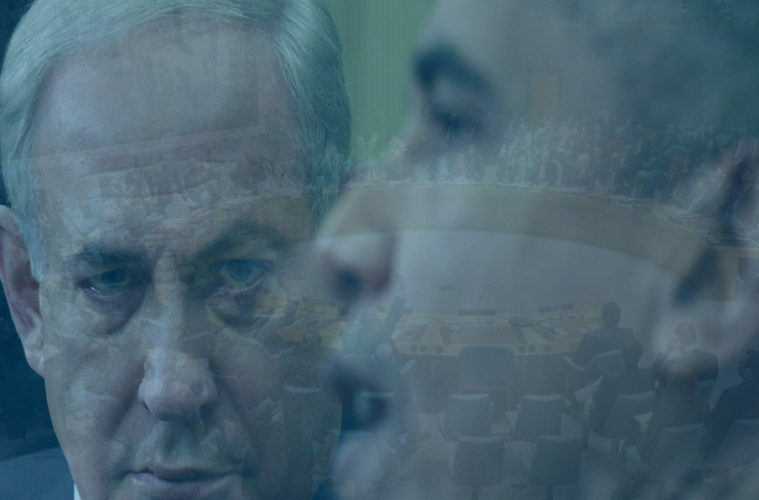 Furthermore, this episode reveals the hollowness of Netanyahu’s arguments about Israel’s place in the world. 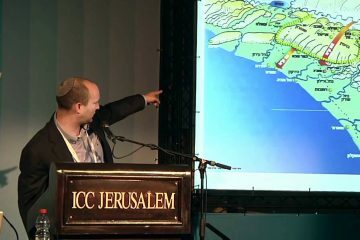 After spending years touting lines about Israel never being less isolated, how the world cares about Israeli high tech to the exclusion of anything it does in the West Bank, and that mutual interests over countering Iran and fighting Islamist terrorism make the conflict with the Palestinians irrelevant, it turns out that the joke is on the prime minister. Look at the countries that voted in favor of this resolution – not abstained like the U.S. did, but actually voted in favor. 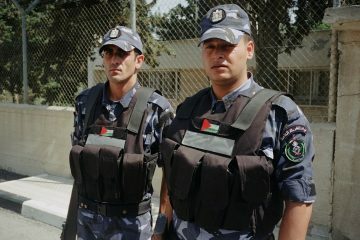 Egypt, which is supposed to be Israel’s close regional ally and a country about which we are told that fighting ISIS and the Muslim Brotherhood together with Israel outweighs everything else. Great Britain, which under the Conservative leadership of Theresa May was supposed to be Israel’s great supporter in Europe. Russia, which allegedly cares more about purchasing Israeli drones than about anything Israel is doing with regard to two states. China, which also supposedly does not care about the Palestinians but only wants to increase trade ties with Israel and benefit from Israeli ingenuity. All 14 countries that cast votes on Friday cast them the same way. All of these countries, counted upon as some of Israel’s closest relations, stated loudly and clearly that they will not compartmentalize settlements and Palestinian issues from their larger dealings with Israel. That is a fact, and no amount of Netanyahu spin about Start-Up Nation and desalination plants can change that. 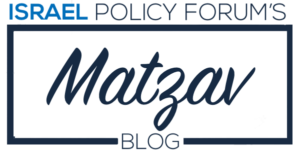 Netanyahu’s statement on Sunday calling the vote “the swan song of the old world” and heralding a new era in which a heavy price will be exacted by Israel against countries that oppose its policies could not possibly be more obtuse. You have to seriously lack a semblance of self-awareness to issue a statement like that. 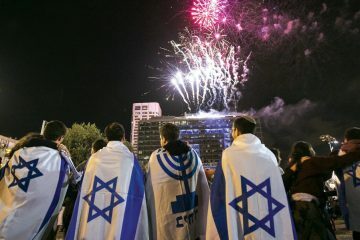 This is not a blip on the radar, and it will not be an isolated event should Israel continue down its current path. 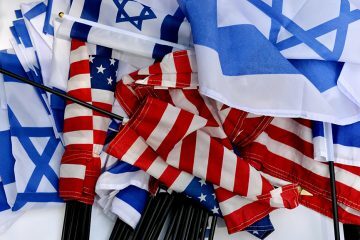 As rightly proud as Israelis and many American Jews are of Israel’s economic successes and military strength, it is not a world power and it cannot afford to behave like one. Threatening countries like Senegal and Ukraine while studiously avoiding eye contact with China and Russia is the hallmark of a paper tiger, and does not make Israel look any stronger coming out of this episode. The Israeli government simply cannot have it both ways. Either you get to do what you like, the rest of the world be damned, but you accept the consequences of your actions, or you recognize that no action is taken in isolation and you change your behavior to avoid the consequences even if your principles dictate otherwise. Netanyahu has to choose which road he wants to tread. 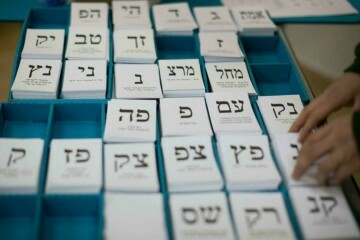 The choice seems like an obvious one to me, but even for those who disagree, do not make the mistake of thinking that Netanyahu and Israel do not have to choose. Be angry about the UN’s moral bankruptcy and be frustrated with the Obama administration’s myopic decision making; I share those sentiments. But no matter what, if you take one thing away from UNSCR 2334, it must be that the mantra of “settlements don’t matter” is an apocryphal myth. In the real world, actions have consequences. 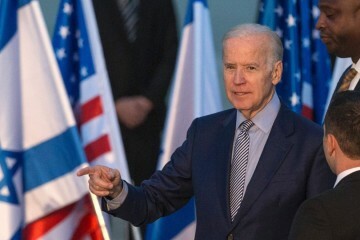 Biden in Israel: a Reset in Diplomatic Ties?